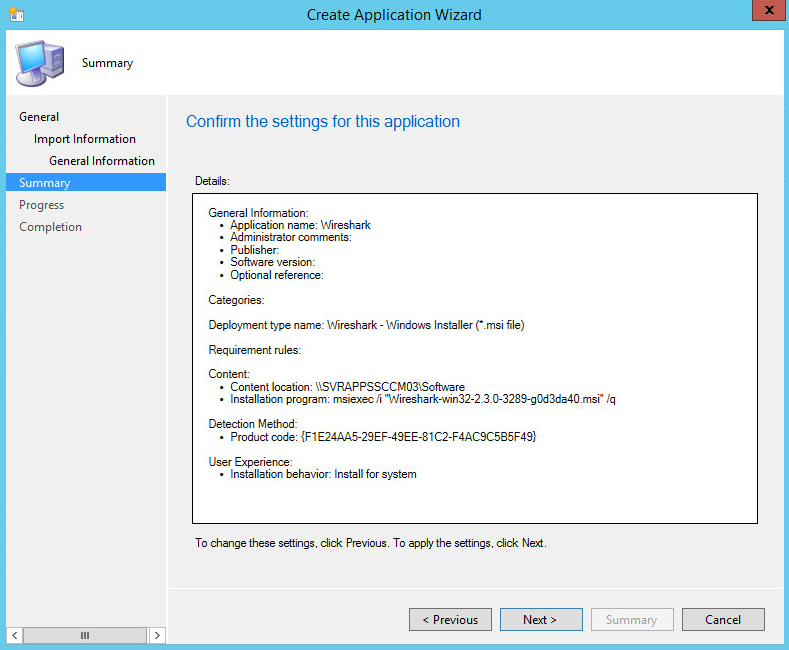 In the left panel, expand Application Management and select Applications. 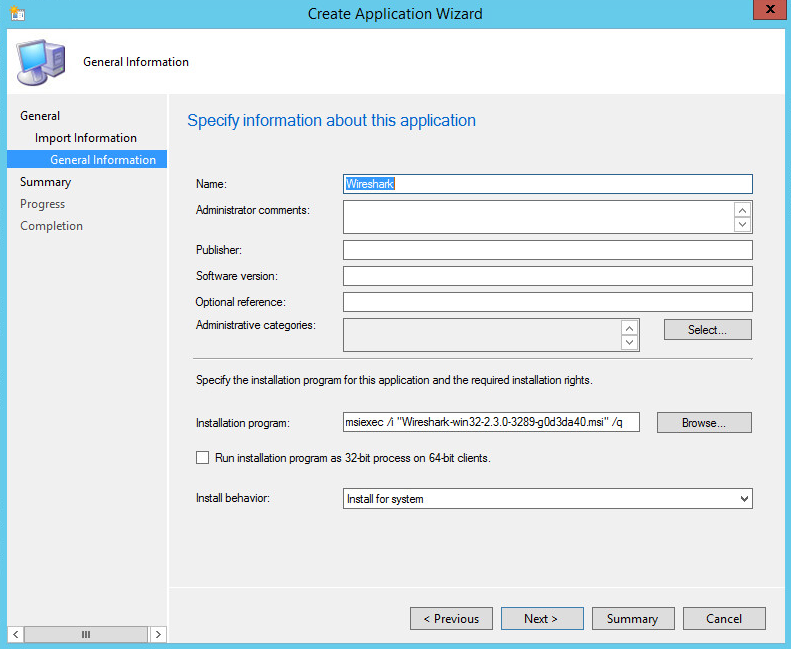 In the top menu, select Create Application. 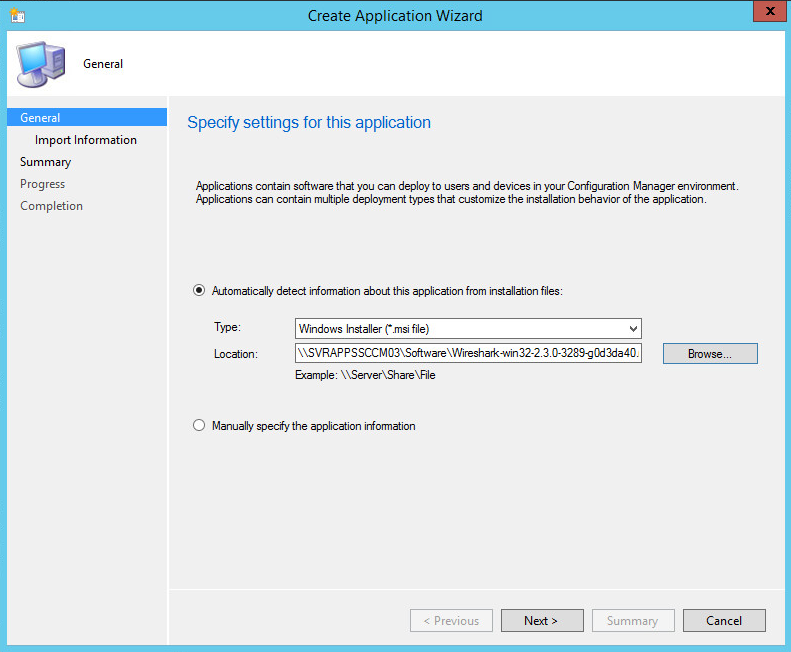 In the Create Application Wizard, select the application you want to deploy. In this example, Wireshark is added. Select Next. 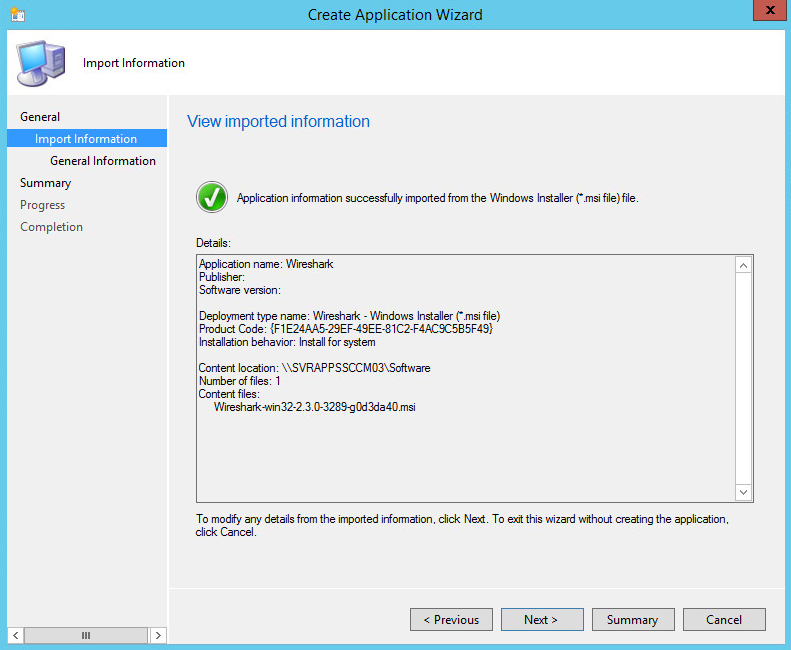 At Import Information, ensure a green check mark is displayed. Select Next. At General Information, complete the options forms, and select Next. 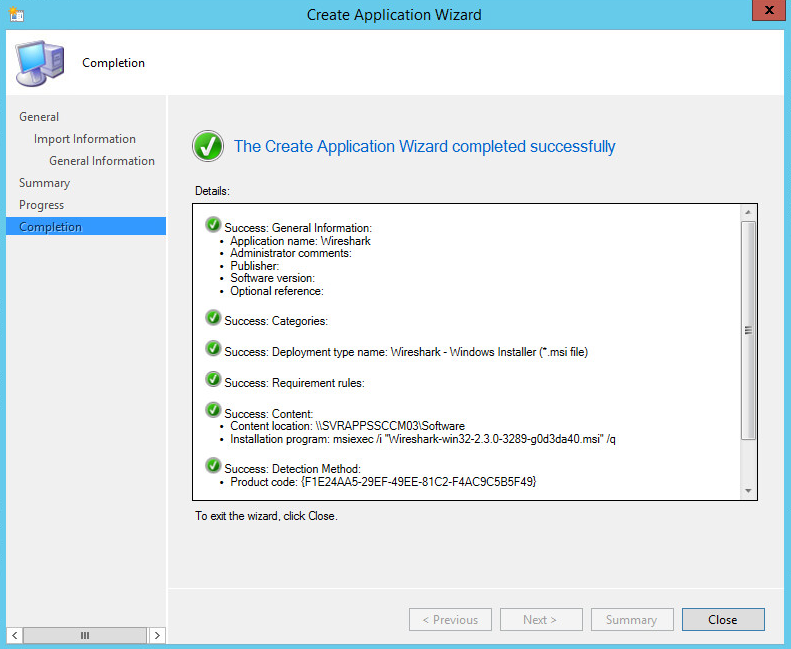 After progress completed, Completion should display green check marks. Select Close. 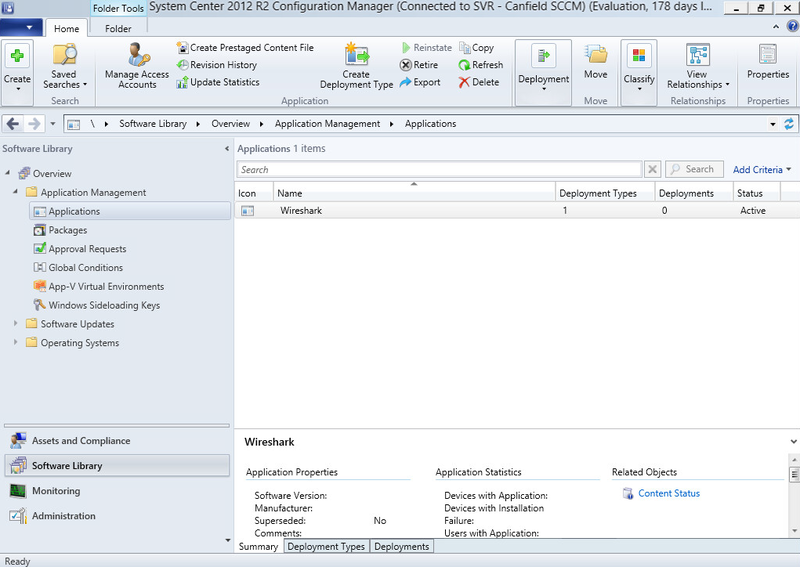 The application should now appear in the list of applications in System Center. 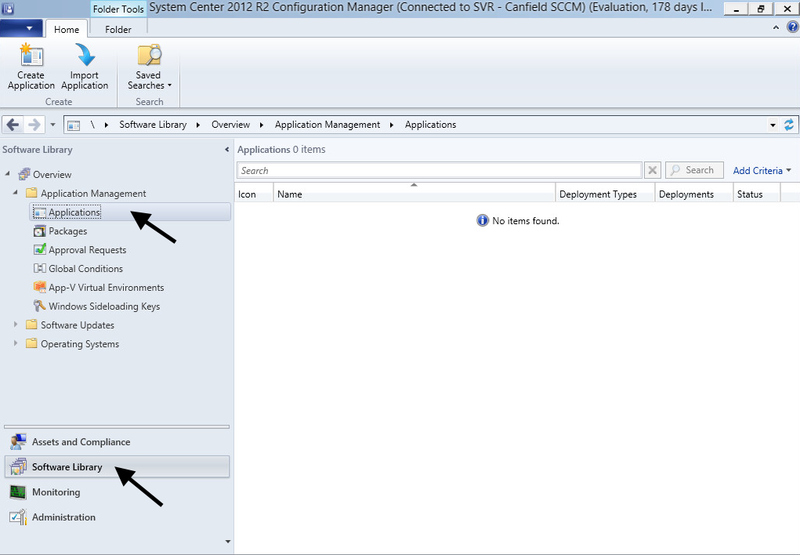 In this example, the Wireshark application is now listed in System Center.